If you live in an apartment and are looking for some extra storage space then we have a couple of great ideas. They are simple and effective products that can store items such as sporting equipment, tools or boxes of items that may not be required for a while. There are many different apartment storage solutions! 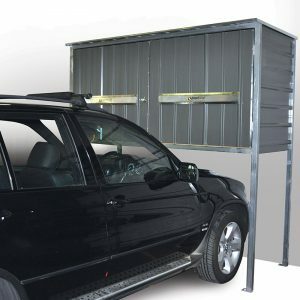 The above car storage locker is a strong, sturdy product that offers security within a communal car park. 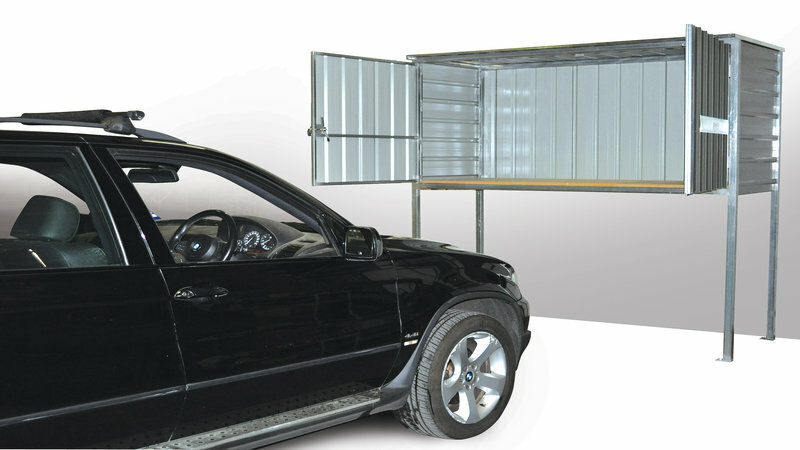 It utilises that wasted space in front of your car and allows the bonnet of your vehicle to fit in under the locker. If you have additional space in your underground complex and are wanting to utilise it with a shed then we have plenty of options. 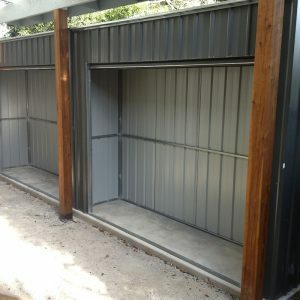 The roller door storage shed is great in the sense that there are no hinged doors, perfect for those tight spaces where the doors may clash with other objects. 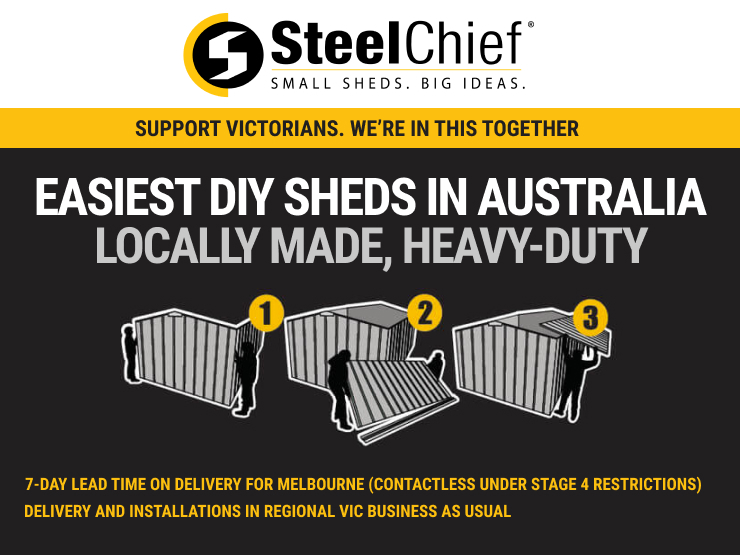 Alternatively we have the ability to manufacture multiple apartment storage sheds for residents which can comply with building regulations, such as a wire roof. If you are a body corporate or developer and are looking for some apartment storage solutions for the residents then feel free to get in contact with us with some plans and we can help advise you on the options available. SteelChief has vast experience in designing, manufacturing and installing lockers for apartment complexes. Contact us today for a free quote!